1 . 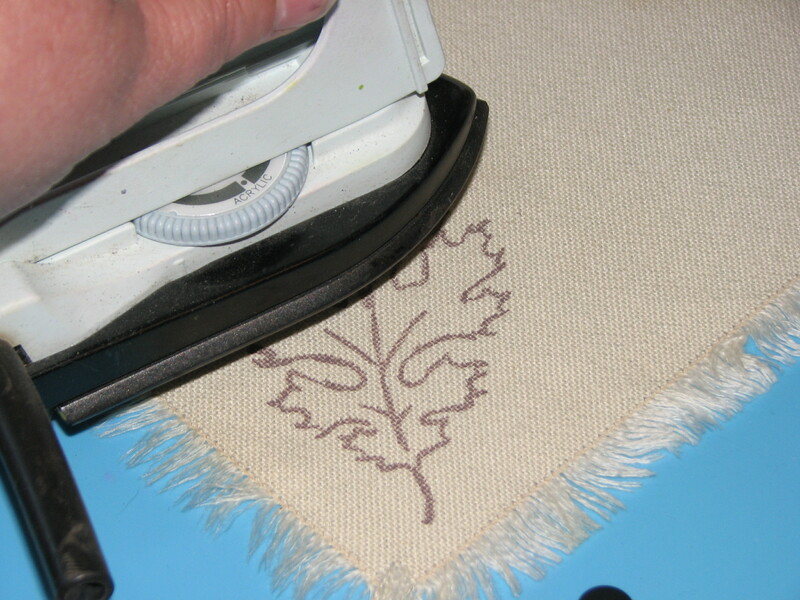 Iron the napkin on the hottest safe setting for the cloth being used so you have a nice flat surface to work with. 2. 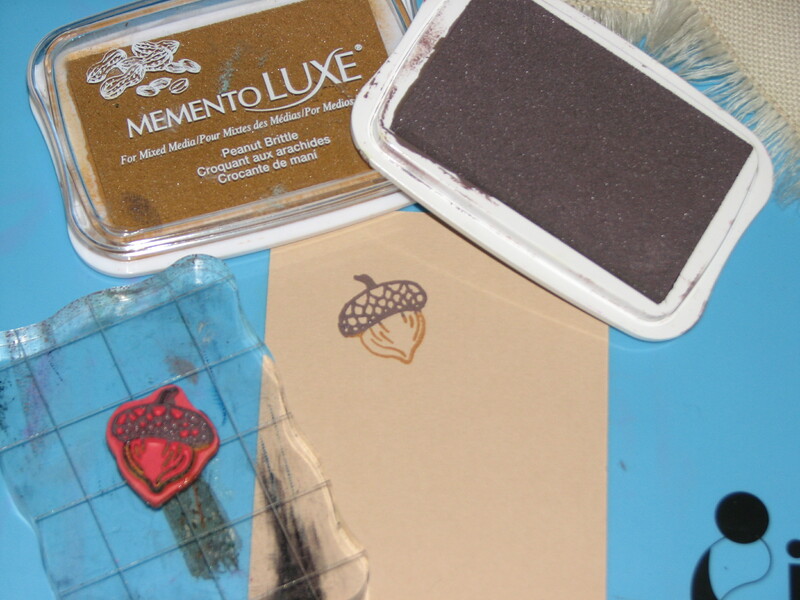 Ink the stamp completely with desired color of Memento Luxe ink, the example is Rich Cocoa. 3. 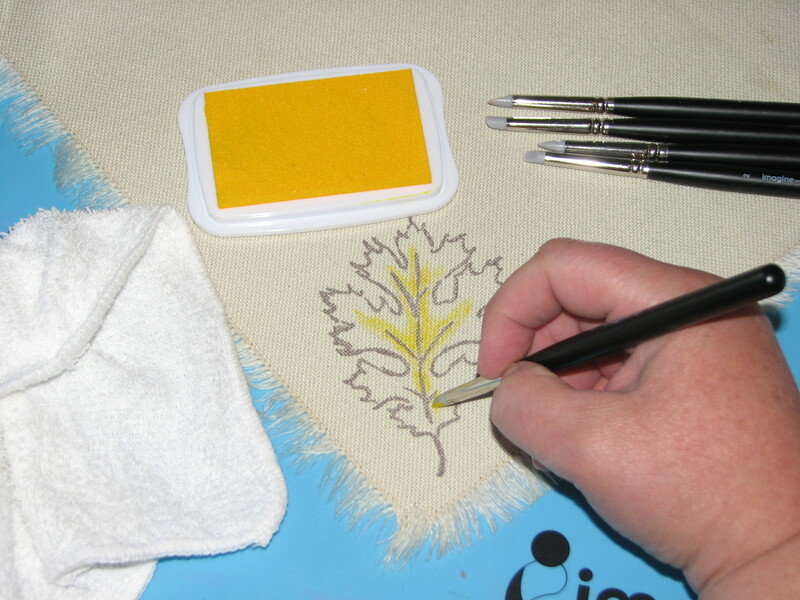 Firmly press the inked image onto the napkin leaving it set there a few seconds. 4. 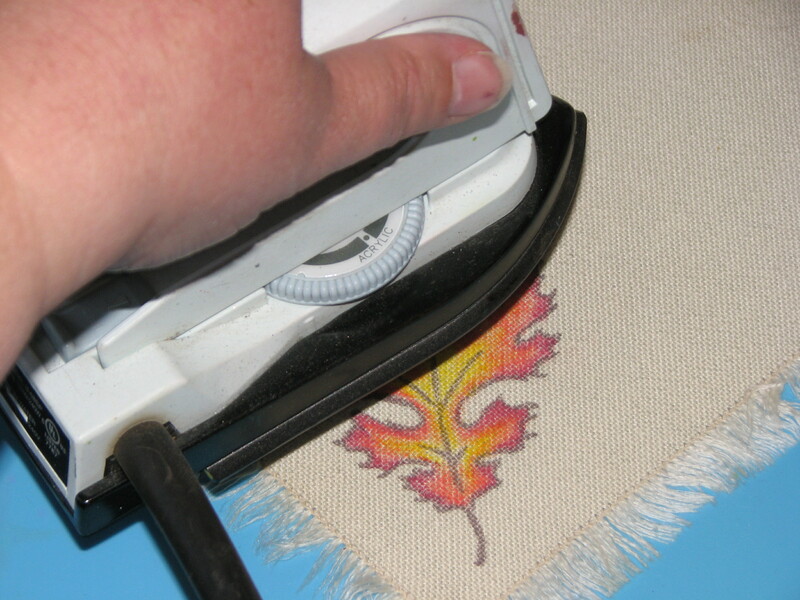 Iron the stamped image for approximately 20-30 seconds to set the ink. 5. 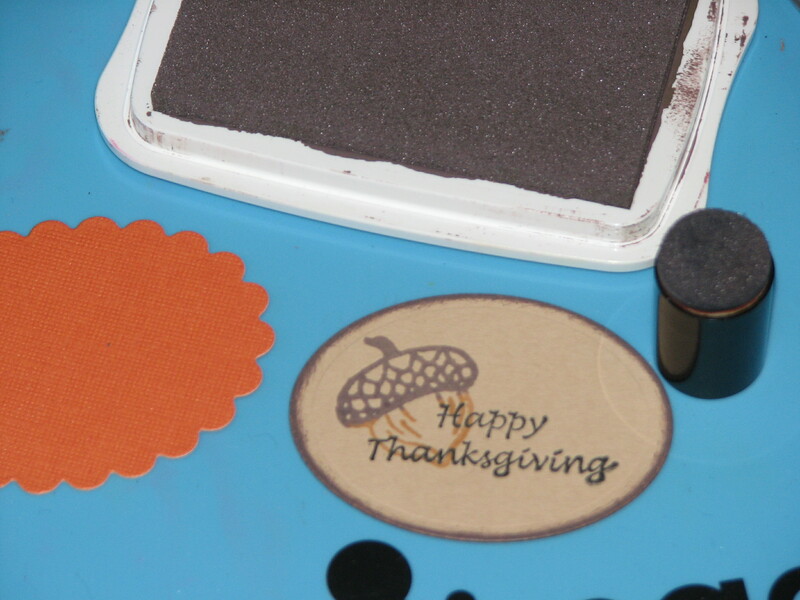 Use DoodleStix to apply color to the stamped image. 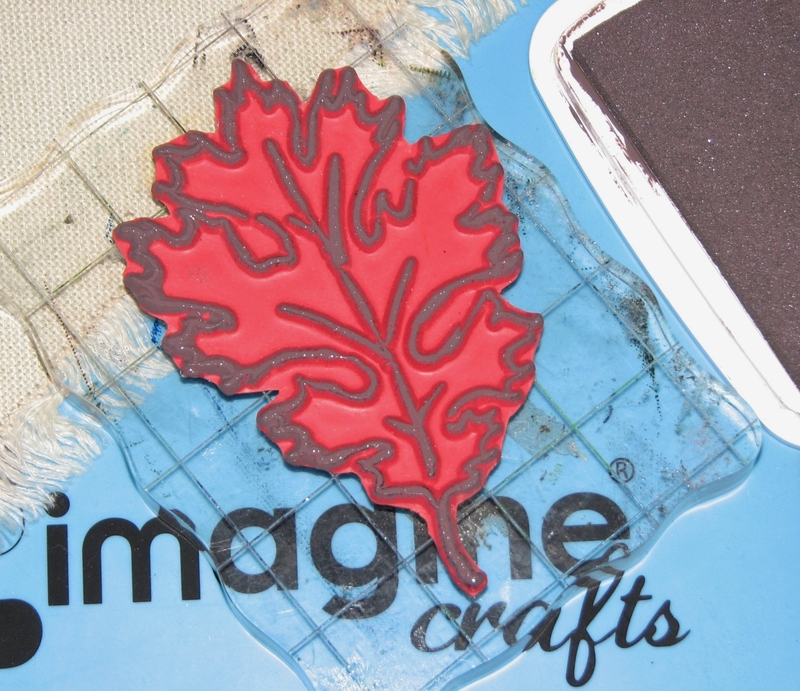 The soft silicone tips allow you to precisely apply the ink where desired. 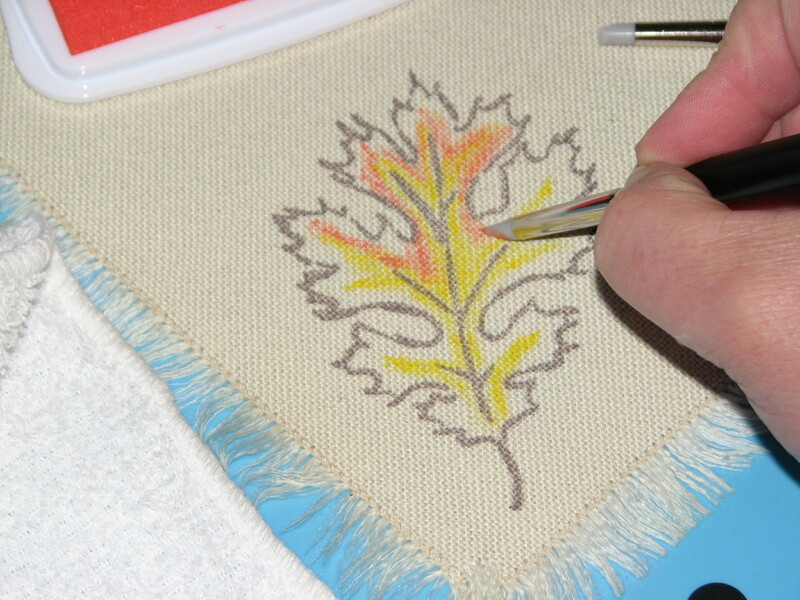 In this case, Dandelion Memento Luxe was applied near the center of the leaf image. 6. 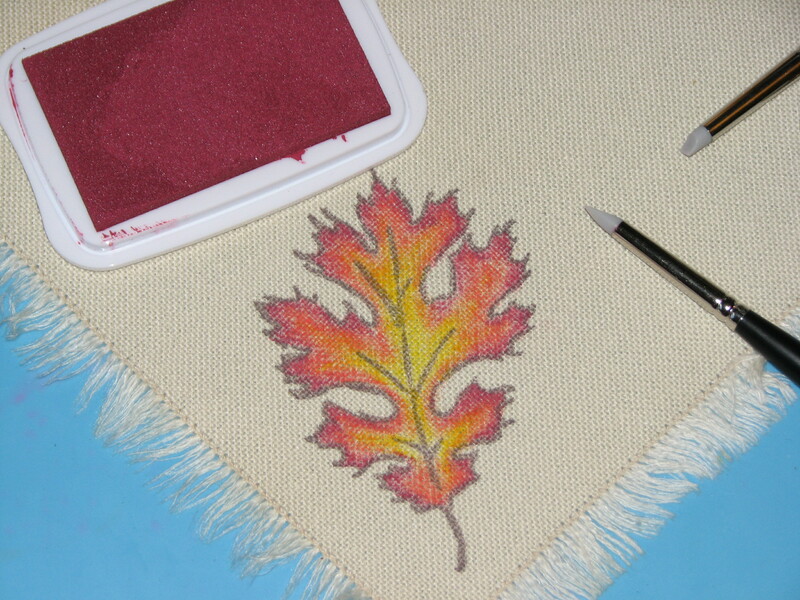 Continue applying additional colors of the Memento Luxe Inks to fill in the image, use smaller tipped DoodleStix around the small edges of the leaf. 7. 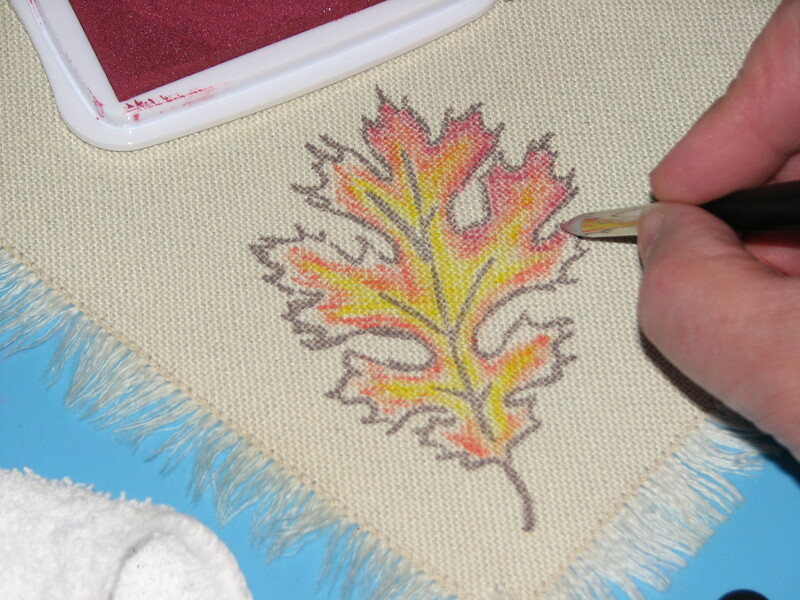 Use the Taper Point DoodleStix to go back and blend the colors together to give you a smooth transition from one color to the next. 8. 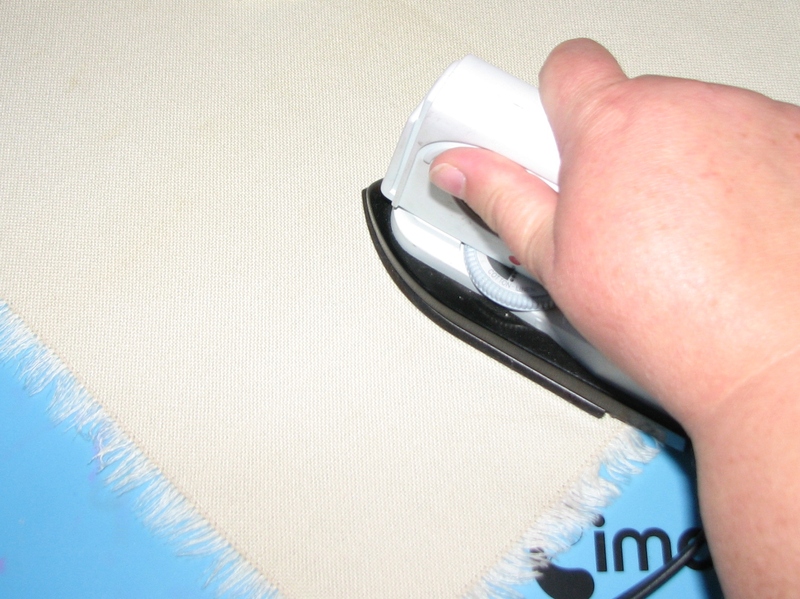 Once you are satisfied with the colors, iron the image approximately 30-45 seconds to set the image. 9. 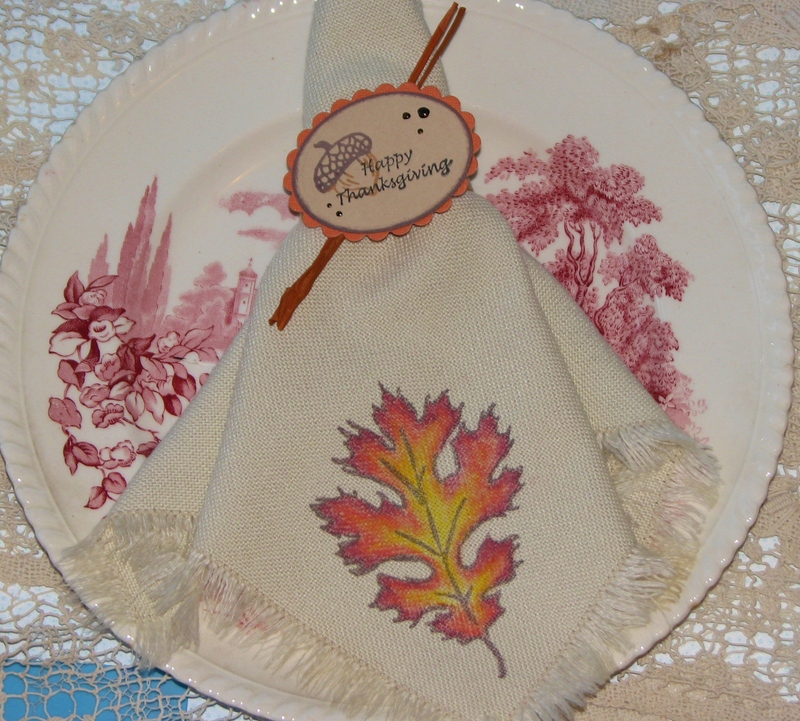 (optional) Stamp a napkin ring for your special occasion, in this case Thanksgiving. 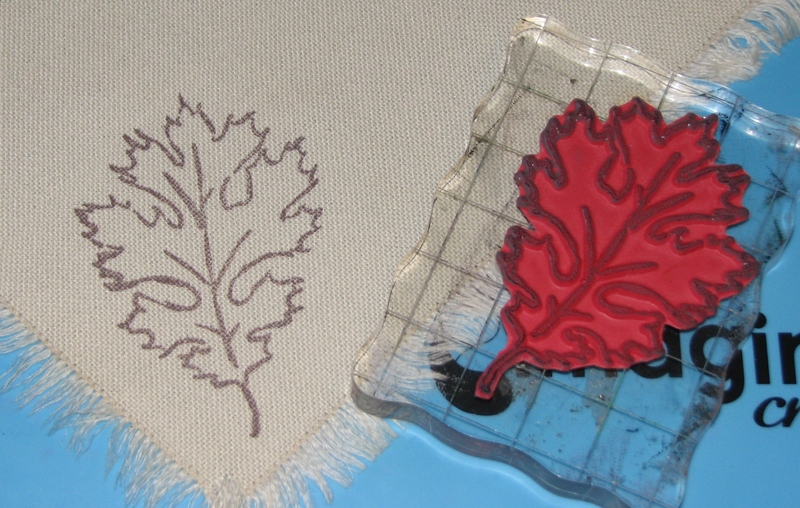 Stamp, die-cut and embellish a label; mount on a burlap ring; tie on a bit of raffia for a nice accent. 10. Slip the finished napkin ring on the napkin and you’re ready to go.